The Ellen Fund supports global conservation efforts for critically endangered species. 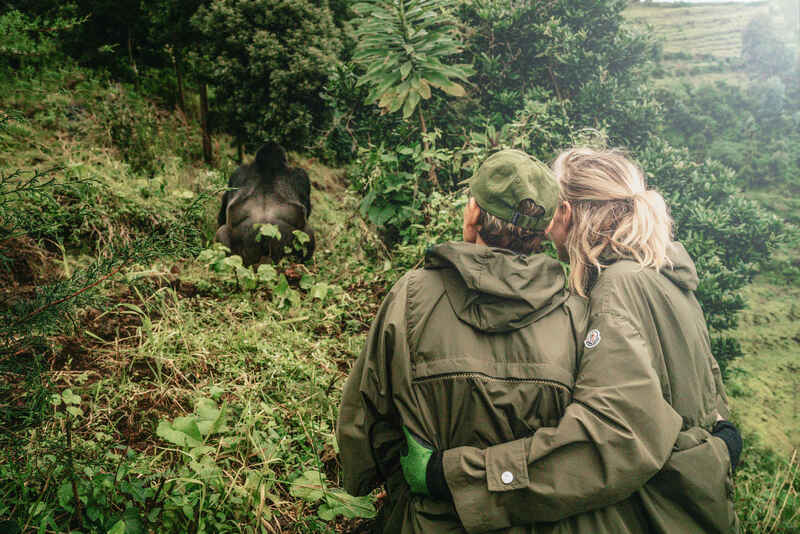 Founded in 2017 by Ellen DeGeneres and Portia de Rossi, our immediate focus is to secure a future for wild mountain gorillas by building The Dian Fossey Gorilla Fund a permanent home. This project will not only help save these magnificent animals by building on successful field conservation efforts in Rwanda, but will also help the local community find ways to thrive alongside the gorillas. And while it happens to be Ellen's name on the Fund, one person alone can't do this without the help, support, funding and love of a large community. The Ellen Fund is and always will be a team effort. It's a forum for people around the globe to be able to join Ellen on this journey, an invitation for people to get engaged and walk with us to help our planet. It is, in fact, the only way that we can save these animals… with your help. Donations are the lifeblood of any organization, and every dollar counts. Until we've completed the campus, all funds go directly towards The Ellen DeGeneres Campus at The Dian Fossey Gorilla Fund, in order to help save the critically endangered mountain gorillas in Rwanda and beyond. We thank you. Ellen thanks you. The gorillas thank you. I love animals and we are the voice for them, and caregivers as well. I can’t imagine a world without Silverback Gorillas and now there will be a place for their beauty and magnificence to be honored. From Apoorva Panidapu: Hi Ellen, I sold the painting I made in memory of Koko and the endangered gorillas. I am happy to donate for a great cause! Eve Moore is donating in honor of her friend Trevor’s birthday! I love what you do for the most wonderful ! And what you do for everything and everyone! You are truly the kindest person in the whole world! Thank you Ellen & Portia for being so inspiring, and always trying to affect the world in positive ways. These animals are most important. Thank you for the opportunity to give this little amount for such huge work! I want to contribute to a wonderful cause. Mrs. Dempsey’s Kindergarten class did chores to raise money for the gorillas! I'm thirsty, It's time for a glass of Lemon-Nate. We are all from nature and we need to protect her.